Recovery and Regeneration are the limiting factors to most of our training prescriptions. It is common knowledge that with more control over the athletes’ recovery and down time, the better quality and quantity of training that can be prescribed. Athlete dorms for Olympians (against the rules for collegiate athletes) are a big key to influence their rest, nutrition, supplementation, recovery and regeneration as well as their training programs. Control of time allows coaches to prescribe programs of greater volume that include intense quality movements and exercises. Training is like medicine—it has frequency and dosage as well as a prescription. Too much training creates staleness and overuse syndromes. Too little training and the curve of improvement is too shallow. Too much at any given time can create an injury or dampen the body’s response to training causing a flattening of the improvement curve. The optimal prescription will create the greatest improvement in the shortest amount of time which is the quest of every coach and athlete. Optimal sequencing of exercises and training focus will create the greatest opportunity for super-compensation or peaking for individual and Olympic sports. There are three critical components of performance preparation in order to foster positive changes in an athlete’s ability to compete and perform at their highest level on any given day. It is really very simple in concept and can be applied as complex to a given individual as humanly possible. The image below illustrates the three key parts of preparation. These are the simple, universal rules of training. Training prescription can be simple for beginners and exceedingly complex for veteran world-class performers. Rest and recovery can be passive, active or assisted. Proper nutrition can involve just food, nutrient timing, supplementation and true supplementation of items not in optimal amounts found in the diet or body. 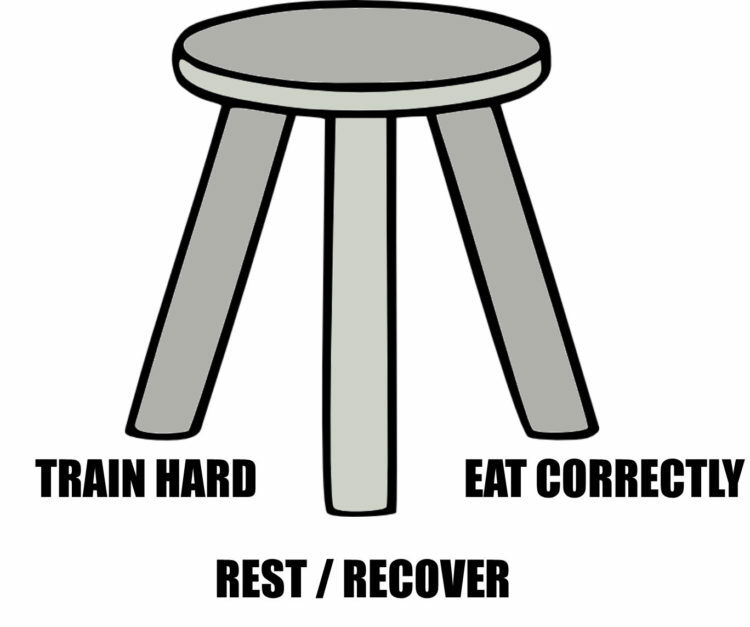 If any of the above legs are not in tune with the others the table top (representing performance) is uneven, wobbly or unstable and unable to stand the stressors of life or competition. Both of these concepts are on the same coin, just different sides. Over-training is too much stimulus in too short a time and under-recovered is too little active regeneration or passive rest in a given time period. Volume creates injury. Not load. Not intensity. Not speed. Too many repetitions are much worse than too much intensity (think load, speed, time under tension, etc.). Many times, coaches assign too much volume and not enough quality stimuli in terms of speed, load, etc. If the reps are not designed with a purpose (technique, speed, power, load, etc.) then the workout is just work—not a training prescription for a specific purpose with an end goal in sight. Then the workout becomes nothing more than just a workout, a WOD. These crutches may make you feel better or make you more excited to workout, but over time you will develop a tolerance to them and will either need more for a similar effect or suffer the rebound effect where you lose interest in training since you don’t get the same “buzz” going into the session. 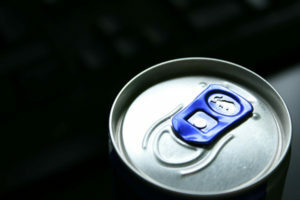 If needed on occasion, a stimulant or pre-workout drink may be warranted. But if it is used as often as your headphones when you train, then you may suffer an unwanted side effect sooner rather than later. Distress is what we consider “stress” in terms of a negative connotation. Eustress is positive stress (such as being in the flow or zone) that creates the positive mind set at any given time. Most athletes need seven to nine hours of sleep every night beginning and ending at about the same times. Too much sleep, too little sleep or long naps can inhibit the bodies ability to adapt to the stresses of training. Deep sleep will encourage the release of hormones for recovery of muscles, tendons and ligaments as well as the immune system. Lighter sleep stages will help to reinforce neural patterns stimulated during training sessions. Drugs, alcohol, environmental changes, delayed bed times and illness can all disrupt normal sleeping patterns and recovery. Nutrition is also a critical ingredient of recovery and regeneration. Nutrient timing and quality is paramount in a training strategy to allow for a maximum load in terms of volume and quality of training. Whether it is supplementation for limiting inflammation, improving protein quality or allowing for increased quality of work by utilizing caffeine or creatine, supplementation can impact training and recovery positively. It can also negatively impact training and recovery with the overuse of stimulants (pre-workout drinks, energy drinks, etc.) as well as supplements that can cause an athlete to test positive in a drug test. One area many athletes neglect in their supplementation plan is just a good quality multivitamin. Ten to fifteen minutes of large general movements of the body in a swimming pool can relax, refresh and speed the process of recovery. A three to four-minute hot tub alternated with a 30–60 second cold plunge repeated for three reps can greatly foster the recovery process. For relaxation, end with a warm environment which will encourage sleep. For recovery between training sessions, end with a cold bout. The cold tub should not exceed 10 degrees Celsius (50 degrees Fahrenheit). Metabolic fatigue is volume-related over-reaching such as training for extended periods in relation to an athlete’s work capacity, multiple training sessions as well as the overall cumulative effect of fatigue and can be recovered by the use of re-hydration and refueling immediately after training and competition. Metabolic fatigue can be recognized by early onset of fatigue, normal training seems more difficult or the athlete struggles to complete the session. Neural fatigue of the peripheral nervous system is also volume-related and caused by high-intensity sessions or very long low-to-moderate sessions of training and can be recovered by hydrotherapy, light active and static stretching as well as massage. Neural fatigue is expressed by low power output, heavy/slow feet and poor technique. Neural fatigue of the central nervous system is caused by low blood glucose levels brought on by high pressure training sessions involving rapid decisions and reactions or just plain old training monotony. This type of neural fatigue is expressed by lack of motivation/passion and can be recovered by steady intake of carbohydrate during and after training, rest and alternative activities such as music, movies and video games. Psychological fatigue is caused by team conflict, competitive pressures or other outside stressors such as school, personal and/or social conflicts. This type of fatigue is expressed by loss of confidence and/or lowered self esteem; poor interaction and communication among team members; negative attitudes; increased anxiety and poor sleep patterns. 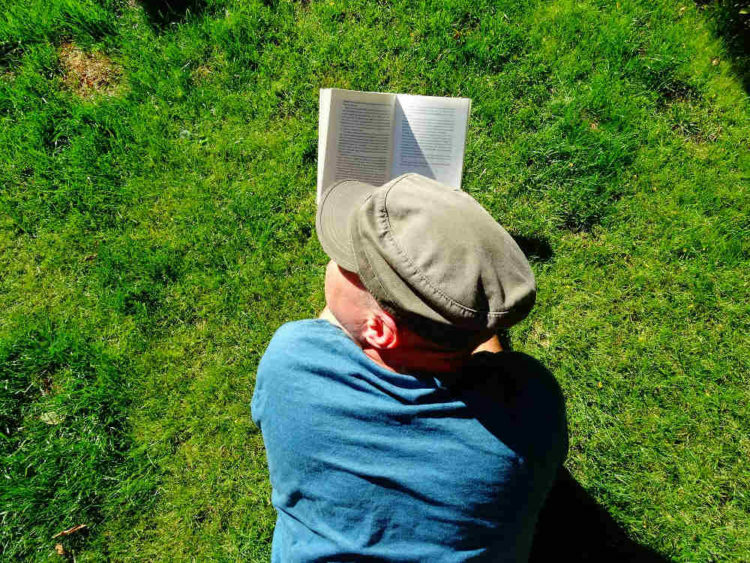 This fatigue can be recovered by activities such as reading, movies, books, video games, etc. Environmental and Travel fatigue is caused by disruption of normal routines such as sleep patterns, meal timing, increased sitting or standing requirements, cultural changes, climatic differences and time change. This fatigue is usually expressed with longer warm-up needs and slower starts to the workout, increased unforced errors in early competition and earlier onset of fatigue. Recovery strategies for this type of fatigue include proper preparation and planning for training and travel: adequate hydration and refueling patterns; limiting climate stressors such as extreme heat or cold; minimize visual fatigue with sunglasses and limited computer time and minimizing hearing fatigue by wearing ear plugs on long flights and limiting loud music on earbuds. I hope this information will give you some insight into the art of the application of the science of recovery and regeneration. It is easy to read but can be very difficult to put into practice. I would like to thank Angela Calder of the University of Canberra in Australia for much of the specific practices in this article. She is an expert in the field of recovery and regeneration. For more information see www.ais.org.au or the reference for this article “Recovery and Regeneration” in FHS issue 22 from 2003. Robb Rogers M.Ed., C.S.C.S., M.S.C.C. With over 30 years of coaching experience, Robb Rogers is an authority on performance training. From club sports to professional teams, Robb has coached athletes of every level of expertise. From beginnings at the University of Missouri, Southern Cal and Baylor University to the St. Louis Blues of the National Hockey League as well as military Special Forces, Robb has vast experience in training elite performers in multiple arenas. Robb is certified by the National Strength and Conditioning Association and is a Master Strength and Conditioning Coach as recognized by the Collegiate Strength and Conditioning Coaches Association. He has received the Training & Conditioning magazine Comeback Athlete Rehab Team award, the University of Southern California Football Spirit Award and been honored by the National Strength and Conditioning Association as the 1996 Southwest Conference Coach of the year and the 1996 National Coach of the Year. Robb’s been published in numerous journals and magazines and is a member of the Perform Better Seminar Team. Robb is also involved with www.coachrobbrogers.com, a free web based education site. Since 1985 he has presented at national conventions, business meetings, and in-service training for coaches, trainers, law enforcement and the military from the United States to Europe, China, Japan and Australia. 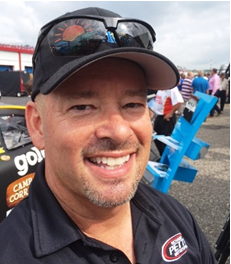 Robb’s currently the pit crew coach for Richard Petty Racing. More from Robb on Functional Training vs. Performance Training . . . What is the difference?